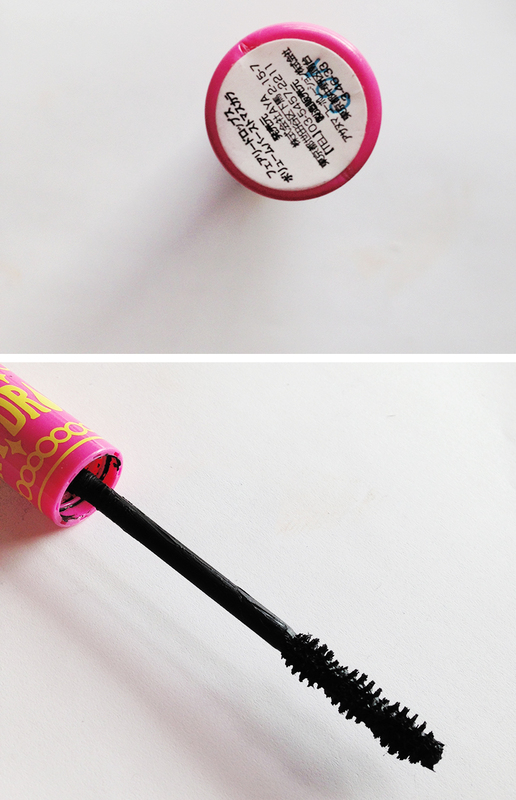 Oh, how I’ve been wanting to try this mascara for a long time! It is inspired by the desire to enhance your eyes both on and off camera, a Japanese TV personality created FAIRYDROPS, a mascara that features a unique wand and luxurious formula that work together to create dramatic, doll-like effects. 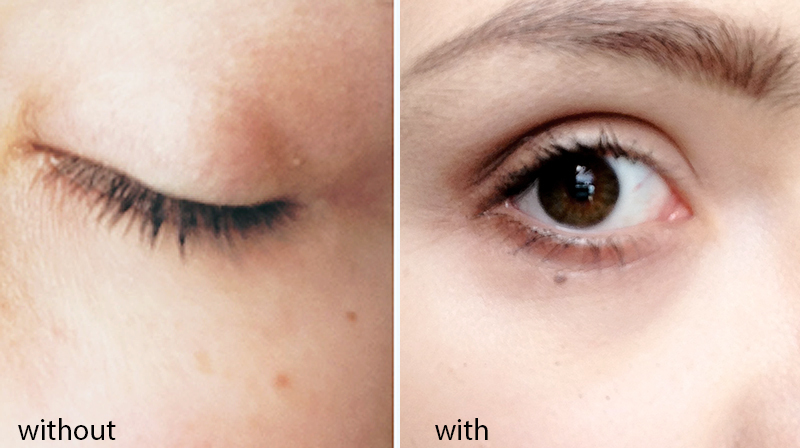 It’s now one of Japan’s bestselling mascaras. You can get the mascara with a lot of different packaging, but the top two are the Original Fairy Drops mascara, and the Fairy Drops Scandal Queen mascara. The original formula comes in a bright pink tube with white and blue artwork, the original mascara does not contain any fibers. The mascara is hard to find in a store so you usually have to purchase it online. The one sold at Sephora is the Scandal Queen version (and is totally overpriced). It comes in a metallic tube with red artwork, and is formulated with fibres. I decided to try the original because I’ve heard more positive things about it. But this my disappointment, this mascara wasn’t as increasable as a lot of people make it out to be. I have kinda thin, short/medium length eyelashes that are mostly straight and this did literally nothing…I know its recommended alot for girls with eyelashes like me because the formula holds curls but it doesnt add length, volume, thickness or any of that in my experience. I’ve tried mascara’s that are cheaper and better than this one. You can call me Elisabeth, 20 years old, Norwegian blogger who does reviews on cosmetics.